A Week with Esther Meek: Course Recap | Theopolis Institute | Bible. Liturgy. Culture. Forty men and women came from all over the United States to attend the 2018 Trinity Term course at Theopolis. 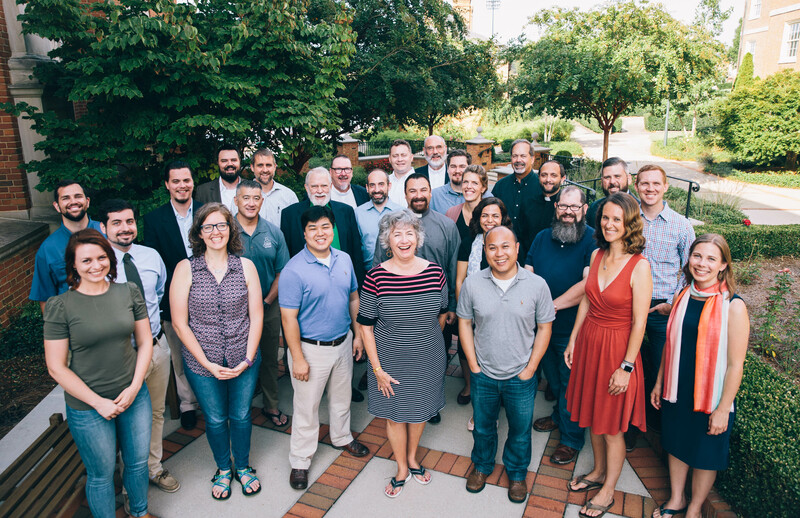 Pastors, students, teachers, an electrician, a city planner, and others from a variety of denominations spent five days at Beeson Divinity School studying covenant epistemology under the tutelage of philosopher Esther Lightcap Meek of Geneva College. One of the central themes of the course was Michael Polanyi’s theory of subsidiary-focal integration. In order to learn something new, we have to master a set of subsidiary facts or skills. Learning to play the piano, we focus on the instrument, our fingers and hands, our foot on the pedal, and the notes on the page. As we acquire mastery, these elements of piano playing become subsidiary, and our focus turns to the overall skill of playing the piano. All knowing ventures move from subsidiaries to focal. When we try to formulate a scientific theory, we pay attention to the data, but the goal of our experimentation and exploration is to discern the pattern in the data. Formulating a theory is like seeing the hidden picture in a Magic Eye. Once the subsidiaries data come into focus, we might experience a sudden moment of surprised delight, the “Aha moment” of discovery. Dr. Meek is an engaging teacher, who takes unfeigned delight in her subject. She often laughed, surprised at some new facet of the topic. As always, the Trinity Term class was punctuated by worship. We began each day with Matins, celebrated Sext before lunch, and finished with Vespers every afternoon in the Hodges Chapel. Thursday evening, the students put on a talent show. James Jordan recited John Donne’s “Death be not proud.” Pastor Gregg Strawbridge treated us to a soulful version of Weird Al Yankovic’s “A Cat’s in the Kettle at the Peking Moon.” But the highlight of the evening came when Mike Shover, a CREC pastor in Pella, Iowa, rapped the Gospel of Matthew. Theopolis’s next intensive course will be “Paths to Human Maturity,” taught by Dr. David Field. It is scheduled for March 11-15, 2019, and registration will open early in the year. Enjoy a brief video below of Alastair Roberts describing the course week.